Information about discount room rate for the Hotel at Waterwalk has been added to the web site. We will not have the free coolant service we had at the 2017 WITS Show. We will have forklifts and a pallet jack to move your tote and we can store the tote of coolant during the show. A backup pump will also be available to pump out the coolant. If you are going to use coolant please contact Don Lenhart at 316-573-7690. It is going to be a good show we still have a few booths available but it is filling up. We have available new 4 x 6 color card which can be put on bulletin boards, handed out at crew meetings, put on the front counter in office reception area. We have people who have never been to the show or forgot it is this year in October. If you would like these postcards to hand out or post them on the company bulletin board, then contact the WITS office to send you some of these cards please contact us at 316-942-2401 or email at wits@witshow.org. The WITS Show is put on by volunteers and we can used your help in getting the word out. Ribbit Business Solutions helped the 2017 WITS Show by provide the computers and printers for the registration. The show features all sectors of our industrial community. Admission is free for the exhibitor area and seminars. No one under 14 years of age is permitted. Thinking of having a booth at WITS this year? Click the button below to find out how to reserve your space. 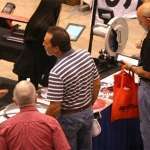 WITS is a marketplace for buyers and exhibitors from the industrial community. 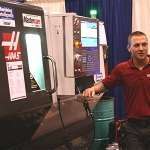 Over 175 exhibitors were in attendance, showcasing their products and innovations. Over 3500 people attended the last two trade shows in 2013 and 2015. The three days event is 100% FREE to attend the show and all seminars.